On Wednesday, Gawker Media founder Nick Denton announced that his defunct company would settle suits brought by Ayyadurai, the wrestler Hulk Hogan, and journalist Ashley Terrill. Silicon Valley billionaire Peter Thiel has acknowledged spending $10 million to finance Hogan’s suit, as well as at least one unspecified other lawsuit, in an effort to destroy the company. Charles J. Harder, the attorney representing Hogan, also represents Ayyudurai and Terrill. As part of the settlement, Gawker Media has agreed to delete three stories from the archive of Gawker.com, including one about Ayyadurai. Univision, which purchased most of Gawker Media’s assets (including this site) out of bankruptcy in September, deleted two Gizmodo posts concerning Ayyadurai—over the objections of the editorial staff—immediately after closing the transaction. One of the targeted articles was written by this reporter, and Gizmodo Media Group executive editor John Cook was named as a defendant in Ayyadurai’s lawsuit. In 1978, a 14-year old Indian boy from Bombay, India and Newark, New Jersey, was tasked with replicating—in electronic form—a secretary’s office desk for managing the entire system of paper communications (inbox, outbox, folders, address book, attachments, etc. ); the electronic system did not exist; young Shiva Ayyadurai created that system; it worked and was a huge success; he named it “email”; he obtained the first U.S. copyright to that invention, and the world’s modern system of electronic mail was born. Dr. Ayyadurai went on to receive four degrees from MIT including a Ph.D. In the past, Ayyadurai has written that those who dispute his account are motivated by racism and war profiteering (Tomlinson worked for defense contractor Raytheon). Raymond Tomlinson, the computer programmer who in 1971 invented email as it is known today and in the process transformed the “at” sign — @ — from a sparely used price symbol to a permanent fixture in the lives of millions of computer users around the world, died on Saturday at his home in Lincoln, Mass. He was 74. While holding a copyright might be good enough for some people, the Internet cognoscenti weren’t going to have it. When they saw that blasphemy in print, they took to Ayyadurai’s Wikipedia page, wrote letters of complaint, and debated as only geeks can. TechDirt dug up this wonderful email written by Thomas Haig [sic] to the SIGCIS email list. Randell points out that ARPANET sent the first message between two computers back in 1971. Katie Hafner, the author of several books about the history of the internet, including the story of the ARPANET engineers who developed email, told Gizmodo that it was “of deep concern” that Ayyadurai’s lawsuit has ended in a settlement and that posts had been deleted. Thomas Haigh, an associate professor of information studies at the University of Wisconsin–Milwaukee, who has also written extensively about Ayyadurai, told Gizmodo that much of the reporting on his role in the creation of email was inaccurate. 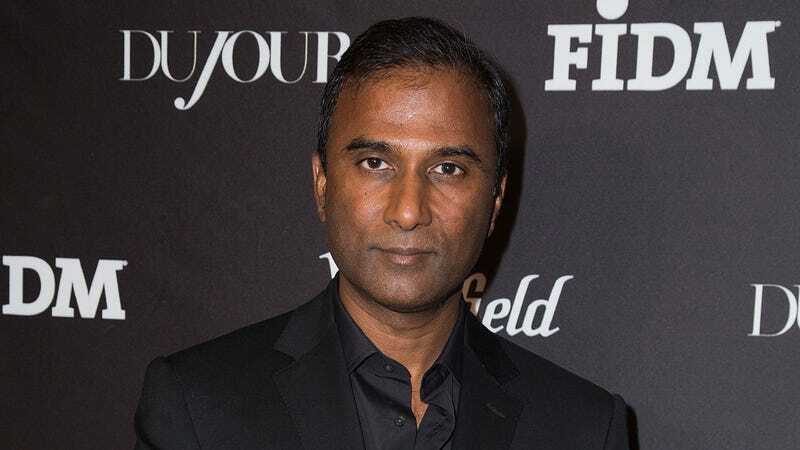 “Several other bloggers had failed a basic test of journalistic practice by failing to do the easiest checks on claims made by Ayyadurai,” Haigh said.